Fleetwood Mac News: Stevie Nicks to play herself on NBC's "Up All Night"
Stevie Nicks to play herself on NBC's "Up All Night"
Music legend Stevie Nicks is coming to NBC’s comedy Up All Night. The singer will play herself in a guest-star appearance on the show. In an episode airing later this season, Reagan (Christina Applegate) and Ava (Maya Rudolph) will need to woo Stevie to get her to be on Ava’s talk show. 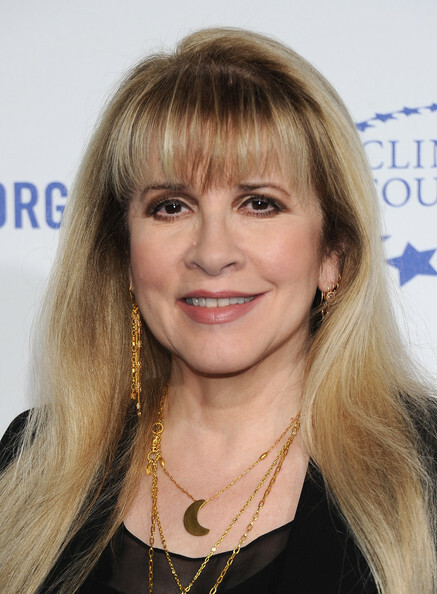 The Fleetwood Mac singer’s last TV guest-star appearance was on Fox’s The X Factor last year. As part of NBC’s midseason comedy plan, Up All Night will stick around in its 9:30 p.m. Thursday night slot for all of its 24 episodes. After, Parks & Rec will return April 19. Stevie as an actress.....cool ;) You go girl! This should be fun - and good exposure for Stevie. Hope she gets to plug IYD again. Wow! This is the second Stevie reference on this show. Apparently one of the writers, producers or actors is a genuine Stevie fan. stevie nicks! what more can you say . she is like a fairy tale princess in a now world. i have enjoyed your spellbinding songs and your captivating voice. as long as the world turns stevie sure can put a spin on it. back in the 80s i sent you a small dark blue arrowhead do you remember?